Dieramas are graceful plants, growing in clumps of grass-like leaves, with tall arching stems of bell-shaped flowers in mid to late summer. There are 44 species of Dieramas, all coming originally from Southern Africa, many from mountainous areas in the eastern side of the country. They are therefore quite hardy and will survive well in most UK gardens without too much care or attention. Dieramas form underground corms and have evergreen leaves. They grow slowly and take about 3 years to flower from seed, but are well worth the effort. They range in height from about 50cm to up to 1.5m when in flower, and the flowers bloom in shades of white, pink, red and dark plum. They look best grown in open borders or gravel gardens, preferring to be in the ground rather than growing in pots. They look particularly good growing with Agapanthus or alongside grasses. And good next to water, but not in waterlogged soils. They grow and look their best where not crowded by other plants. Dierama pulcherrimum is widely available in the UK, with varieties covering a range of colours. Plants grow up to 1.5m when in flower, typically in mid-summer. Try Dierama ‘Album’, Dierama ‘Slieve Donard’ and Dierama ‘Dark Cerise’. Dierama dracomantum flowers a little earlier in summer, with pale pink flowers, and up to 1m in height. 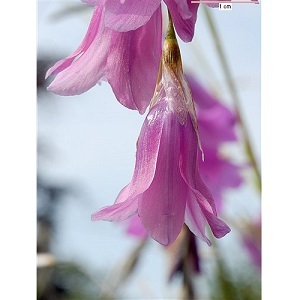 Dierama trichorhizum is a dwarf form up to 60cm with pink flowers in mid to late summer. Dierama reynoldsii is a tall variety, with wine red flowers in mid to late summer up to 1.5m. By division: Mature plants should be divided when flowering declines. The best time is typically in spring. Trim away any dead leaves, cut the remaining leaves to half, then dig up and divide the clump. Be careful not to break the brittle roots. Replant directly into the garden rather than pots if possible. Plants take a year or two to settle down and start flowering again. By seed: Sow the seed anytime, typically in spring/early summer or autumn if you have a greenhouse. Sow the seed in free draining seed compost, cover lightly with compost, keep at about 15°C and germination takes 3-6 weeks. If there is no germination, move the seed tray into a fridge for 2 weeks and back out for germination. Seedlings need to be potted on and then grown through a second season before planting in the final position. Flowering should start in the second or third season, and can vary depending of the plants and where they are growing. Plants will self-seed in the right conditions, and as they hybridise freely, the resulting plants may look different from the parents. 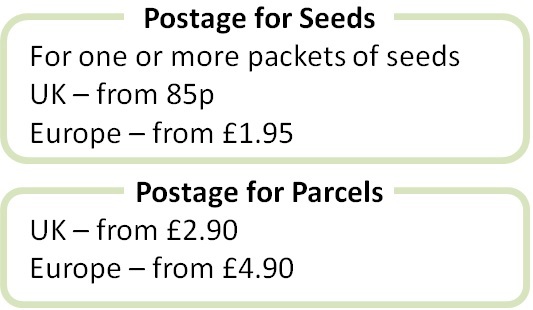 Seeds bought from seed companies should generally flower reliably true to type, with some natural variation. Dieramas prefer to grow in sun and free draining soil. They benefit from an organic feed in spring and watering during dry summer spells. They do not do well in waterlogged soils in winter, so avoid planting in these areas. Plants are not generally troubled by pests and diseases. They may be semi-evergreen in colder gardens and benefit from mulching or protection if winter temperatures fall below -10°C.